To begin, visit https://noderun.com/ide/profound-logic/guided-lab/ and press the Fork button on the home page (if you are not signed in, create an account or sign in). 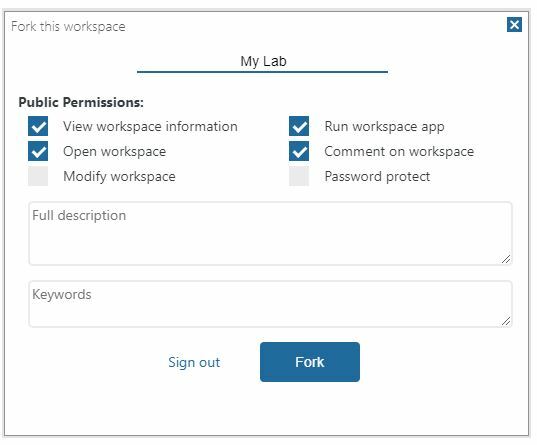 Give your space a name... for this example we will name it My Lab. After naming your space, click Fork and click Close on the next prompted screen. This will change the URL in your browser to show your profile name and your new workspace name. Click the New button and scroll down to the Rich Display File option which will create a new display file in your IDE screen. Then click the Widget Sets tab and drag-and-drop the panel widget onto your display screen and name it Employee Lookup. Next, drag-and-drop the Label widget onto the panel for each label that you want to add. After that you will want to add a Primary Button widget and a Cancel Button widget for an "Ok" button and a "Cancel" button. Under the Database tab find employees and right click. Then press the Query option to find and review your employee data. 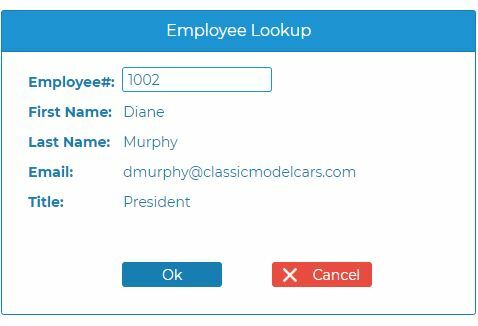 Make sure you have the Input mode selected and drag the employeeNumber to your display screen. Next, switch to Output mode and drag the lastName, firstName, email, and jobTitle to your display screen. Select the Ok button and use the Graphic Button Properties on the right hand side to bind response of Ok button to ok and bind response of Cancel button to cancel. Please keep in mind that the case of the field names do matter. "ok" is not the same as "Ok."
Above the Screen Properties box you will see a Screens tab. Press the pencil/edit icon and name your screen lookup. Next click the Save button and name your file lookup.json. In our next post we will learn how to use the database-driven auto-complete option as well as how to add a dynamic image to your display.